Meghan Markle can't seem to catch a break these days as royal experts watch her closely and rush to report any instance of her breaching royal protocol. 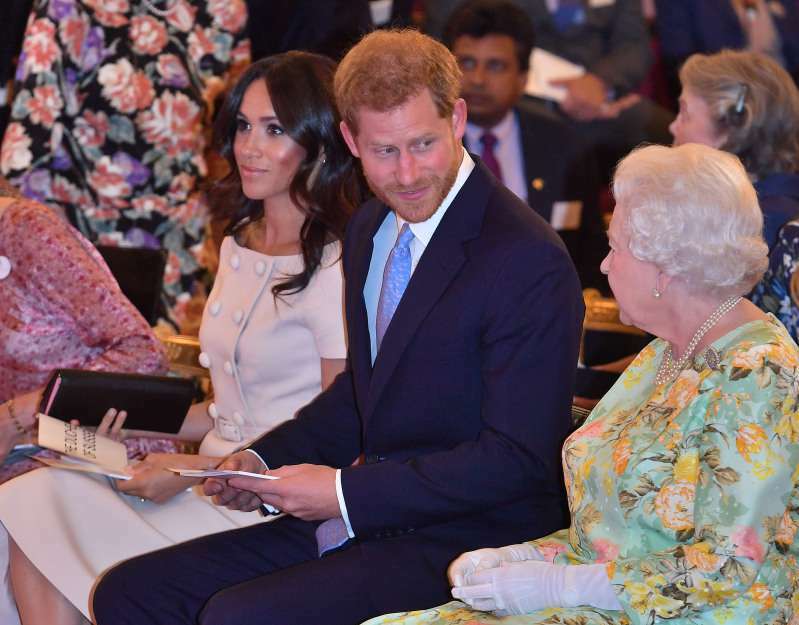 This time, the Duchess of Sussex is under scrutiny for trying to hold Prince Harry's hand during Young Leaders Reception at Buckingham Palace. The Queen rarely holds hands with her husband in public, and this seems to have set an unwritten precedent for the other royals. Luckily, Prince Harry was there to save the Duchess from fully breaking the rule, but couldn't avoid everyone noticing her faux pas. As Meghan reached out to hold Harry's hand, he quickly refused her the physical contact by bringing his hands together in front of him. It must not have been pleasant for the Duchess to be shut down by her husband, no matter how subtly he did it. But we all know Prince Harry is very protective of his wife, so he did what he did for her own benefit. Better be careful next time, Meghan. Many people were split on the matter as some plea for Meghan to finally remember all royal rules, while others don't think it was that big of a deal. What do you think about this? Is the criticism justified or is the entire ordeal being blown out of proportions?